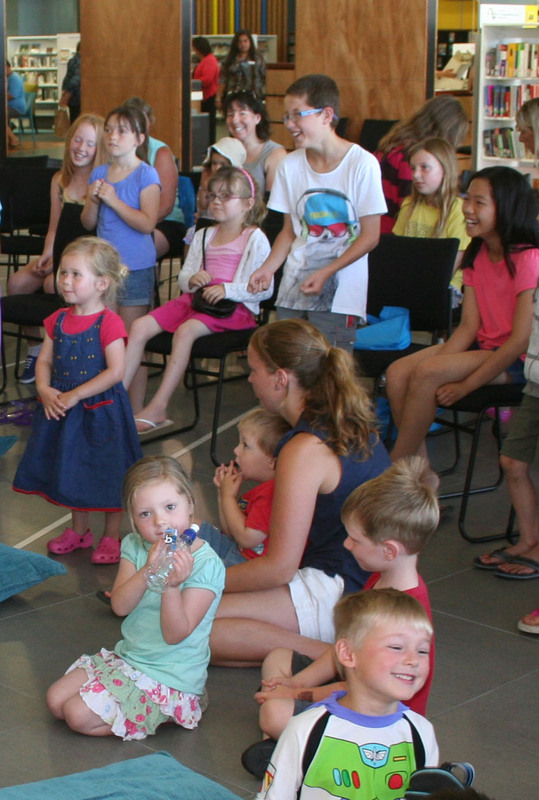 One of the highlights of it being summer holidays is that we have a number of storytellers visiting us at Te Takere. This morning we were visited by Holly Gooch who calls herself a storytailor - a storyteller with a twist. When I popped down for a look and a listen she had almost 100 visitors enthralled by her stories. As you can see from the photos Holly acts out her stories as do the children and sometimes parents in attendance. Here we have Holly and crowd doing a chicken dance and milking cows - gathering the ingredients (eggs and cream) for pavlova. 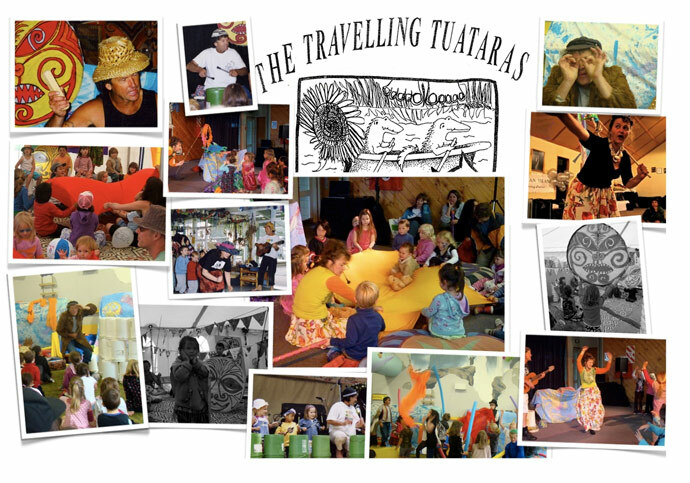 Next week we have the Travelling Tuataras coming to visit at 10am on Monday 14 January. 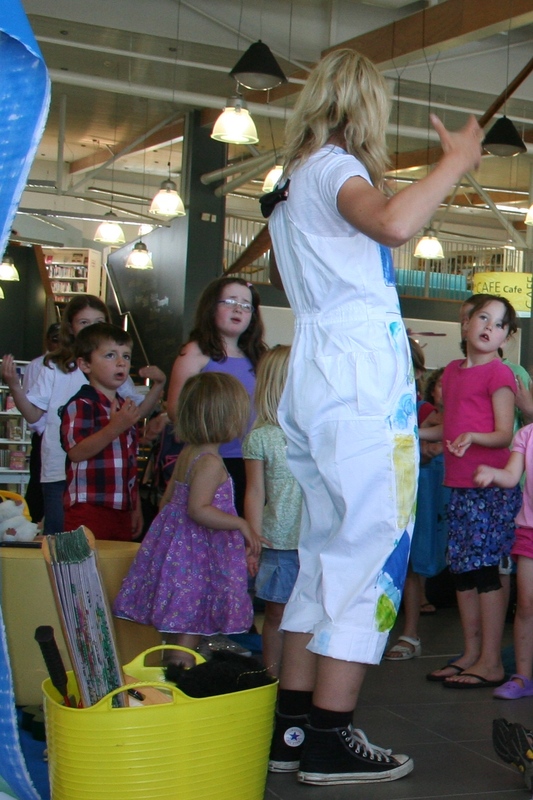 Often their storytelling involves puppets, bucket-drums, bright cloths and windsocks so I'm looking forward to that. I wonder how many people we can squeeze into Te Takere to enjoy the Travelling Tuataras? 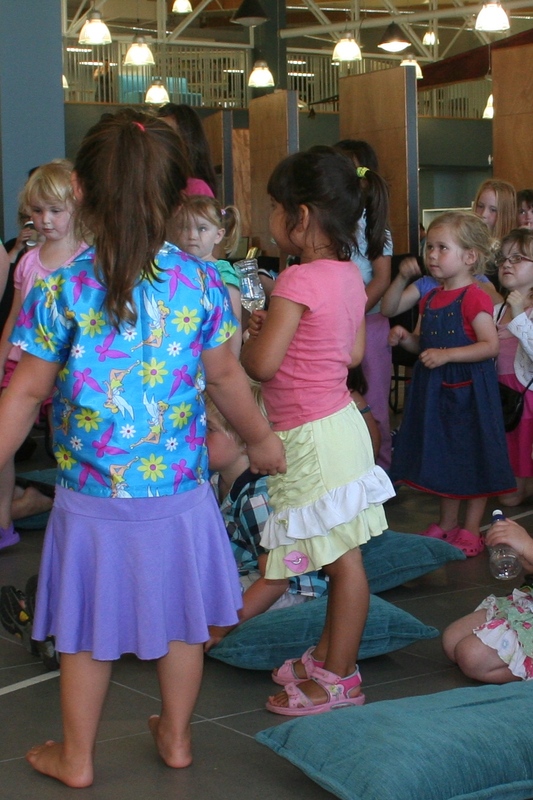 Then Ken Samson is telling stories at 10.30am on Friday 25 January. 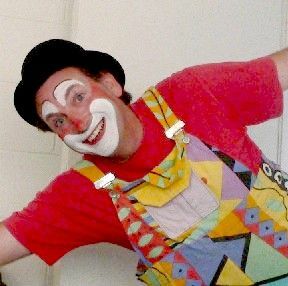 Ken created Cherry the Clown in 1991 and Cherry the Clown has performed in LA, Sweden and all over NZ. The show includes comedy, magic, juggling, puppets, and balloon sculptur. I have both of these events booked into my calendar (because stories are fun for big people too) and invite you to do the same. Come and enjoy a fantastic day out in the countryside, exploring nine lifestyle properties showcasing the best of rural Horowhenua. Following on from the sold out event of 2012, the 2013 fundraiser Lifestyle Trail showcases eight new destinations and a crowd favourite from 2012. Make a date with friends and family to explore “hidden” properties including a chic renovated woolshed, a wander through an asparagus field and nut groves, and a blueberry farm operating a number of cottage industries. You’ll also have the opportunity to pat a donkey and get up close and personal with ‘haughty’ alpacas. Fresh local produce will be available, along with pantry packs of homemade preserves, plus raffles, local entertainment, fresh picnic boxes, plants, flowers and other rural must haves for you to take home. Be sure to bring plenty of cash! Behind the Hedges - be surprised, be delighted, be inspired. NOTE: There is a $3 fee per transaction. Tickets can also be purchased from Te Takere. All funds raised go to Te Takere – Culture and Community Centre. Only a few days left till we open the new Youth Space. Excitement is building as as builders race to finish by the Friday deadline and tech people rush in with computers and large screens. At the moment it seems chaos reigns but it will be settled by Saturday. Join us for the party! Work continues in the Education space with a Tea/coffee making area almost finished apart from the walls. 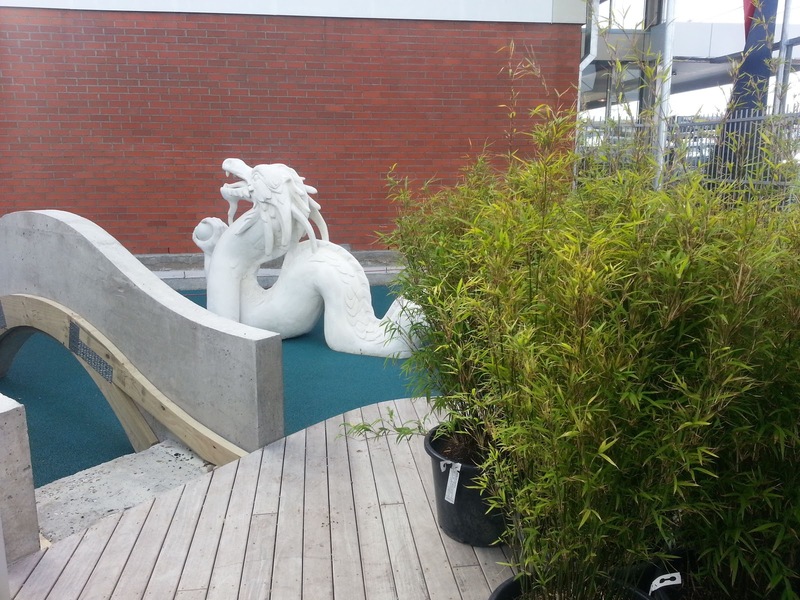 Planting began today for the Chinese Garden with lovely bamboo being placed in strategic areas to enhance the space. The bamboo is called fairy bamboo and is the non-spreading variety! 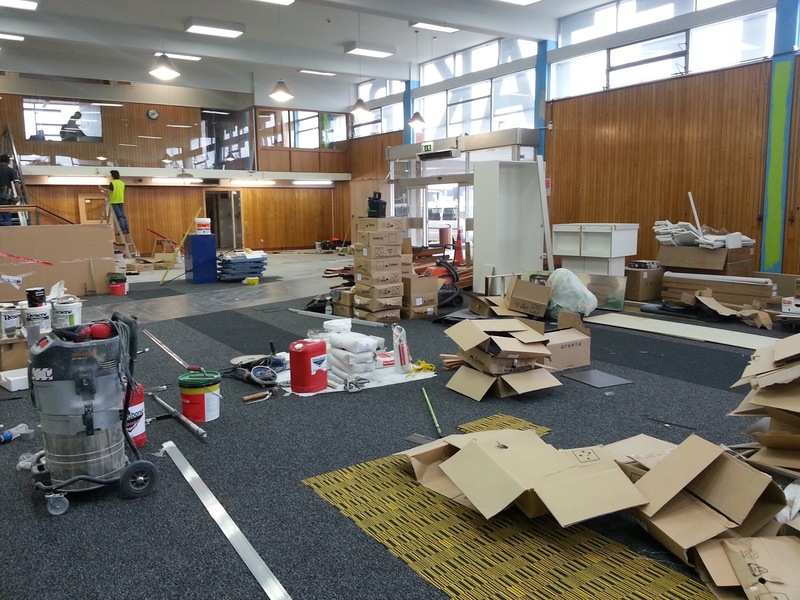 New carpet has been laid in the same colours as the main Te Takere area. Frantic unpacking of equipment to meet the deadline of the 1st December and finishing off painting the former bright green columns to a lovely shade of blue. The new content creation room being soundproofed ready for installation of equipment. 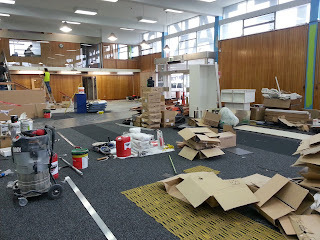 The former children's library is transforming into the staff offices. On the top floor glass walls have been put in to sound proof the soon to be office areas. The Chinese Garden with our beautiful dragon installed waits for the planting to enhance the area. Welcome to Te Takeretanga o Kura Hau-Po. 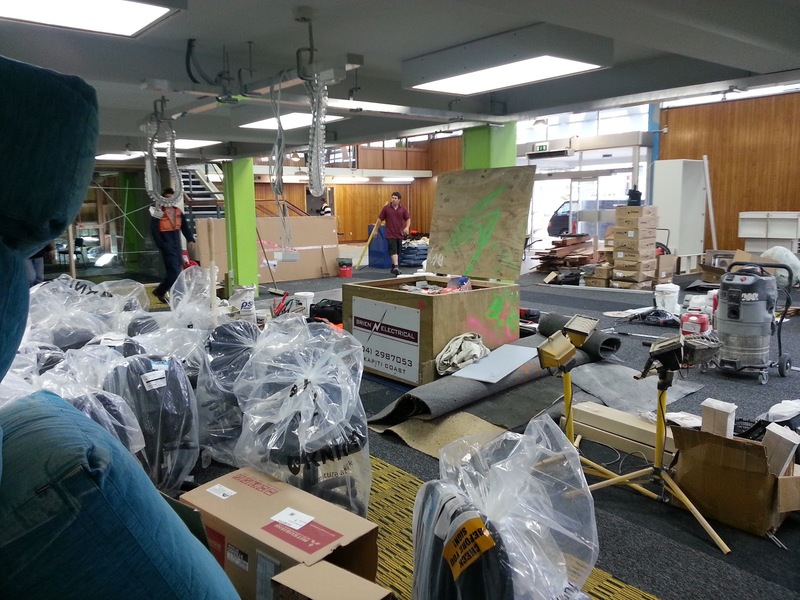 Our beautiful new living room for the people of the Horowhenua. Come on in and have a look around, see the fantastic services we have on offer. Tonight I am just going to give you a brief glimpse of the inside of Te Takere. Above is the fiction section with the stunning woven sail and oar above, with the curved stairway heading up to the quiet area. One of our many public internet areas dotted around the library. A lovely non-fiction reading alcove. Note the series of local historical photos above the shelves. Our great new self issuing machines. If you need any help there will always be someone to help you issuing your items. It feels wonderful to be finally working in this brilliant new environment, we have waited so long and now it is here! Join us as we celebrate our grand opening tomorrow morning.